When I moved to Los Angeles from Dallas I bounced around ALL of the local studios trying to find the most effective thing! And I mean ALL of them. I was trying to get in shape for my wedding and was also just loving all the different options out here. I'm pretty sure I did every 30 day trial in my area. When I finally got around to trying my first Lagree class - I was so nervous!! I had never been on the machines before and found them pretty intimidating. That first class was such a shock and totally killer to say the least, but I loved the challenge. I knew I had finally found something that was fun, went by quickly, and was going to actually give me results. Encouraging, but tough! I want everyone to leave feeling accomplished and like they got the MOST out of their time. I also am ALL about working on the core. Protein shakes really speed up your results! I always try to have a protein shake within 30 minutes following a tough class. 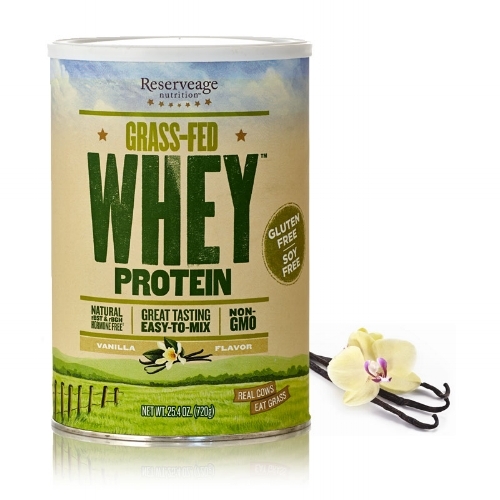 My favorite “go-to" is Reserveage Vanilla Whey Protein Powder, frozen bananas (they make all the difference! ), cacao powder, coconut oil, almonds, and almond milk. Literally tastes like a Wendy’s frosty. If you’re into that kind of thing…it’s pretty awesome! Be kind to yourself, but stick with it!! Everyone has days where they feel stronger than others, but as long as you keep coming and get yourself to class the results will follow! My mom used to always say, “A year from now you will wish you had started a year ago!"